Close-up view of a Bowdoin boat rowing on the Androscoggin River. 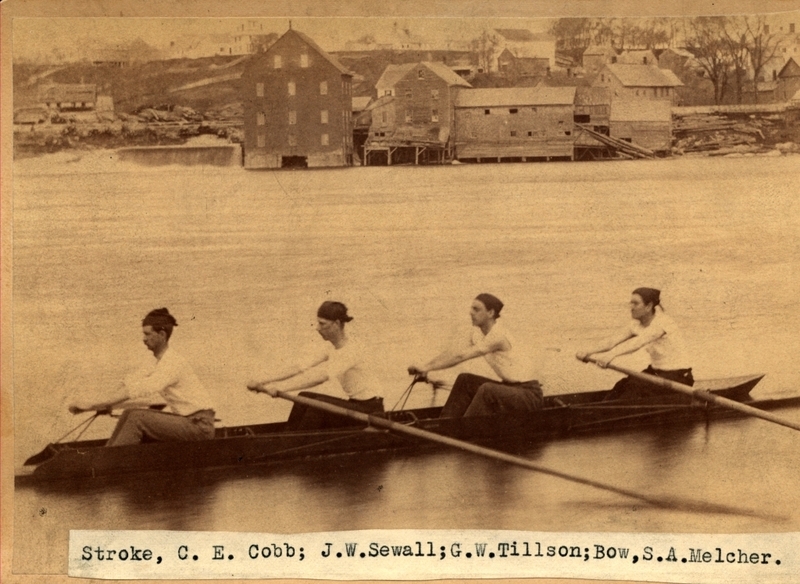 Left to right: Charles E. Cobb (Bowdoin 1877), James W. Sewall (Bowdoin 1877), George W. Tillson (Bowdoin 1877), Samuel A. Melcher (Bowdoin 1877). Photo taken from the old boathouse on the Androscoggin River.